It is absolutely amazing just how much untapped potential lies in the basement of homes. Basements are used to store holiday decorations, keep sakes, and long forgotten boxes of who knows what. It is a shame to allow all of this useful space to go to waste. There is a very wide range of possibilities for the extra room. It could even be a source of much needed income. 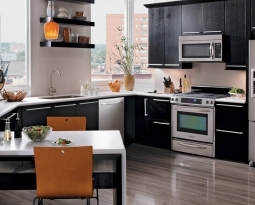 It is generally well known among home owners that renovation and remodeling projects raise the home’s overall value. This is not the only lucrative aspect of finishing your basement. There is just the right amount of space in most basements to create a very nice apartment. There are many reasons that home owners choose to rent their basement to tenants as opposed to purchasing a separate property to rent out. One is that this space already belongs to them. The only money that will be invested is the amount required to transform the basement into suitable living quarters. It is also much easier to keep an eye on how the tenants treat your investment, if they are below you. There is another route which does not necessarily bring more money into the home. It does save a great deal and therefore amounts to about the same financial benefit. A basement that has been redesigned to create an efficient living space is perfect for college students. Your college student will be much closer to home and there will not be as much reason to worry. This also means that you do not have to fork over an arm and leg for campus housing. Once your college student graduates you can rent it to tenets for the additional revenue. It is often difficult for family’s to find quality time to spend together. The world has become extremely fast paced with everyone constantly on the go. The basement may actually provide an answer to this challenge. It cannot create more time; however, it can provide a wonderful place for the family to enjoy time together. Your basement can be transformed into a large cozy den complete with its own bathroom and cooking area. 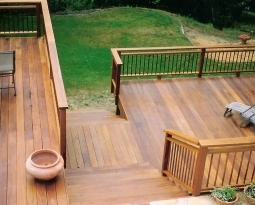 The expert crew at Stark Builders, Inc. has the professional carpentry skills to make this dream a reality. You can create several activity areas so that there is something everyone in the family enjoys doing. We can even custom craft the shelving for your game and entertainment center. It would also be a great place for birthday parties and holiday gathering celebrations. It is very important to perform at least some research and locate a professional contractor to finish your basement. There is a great deal involved in this type of project from permits and fire codes to wiring and plumbing. You should never leave these kinds of details in the hands of a layman. It will cost much more in the long run to hire an actual professional to finish the job as well as repair the mistakes the first contractor made. In some cases it may cost three or even four times as much as it should have depending upon the extent of the damage the first workman left behind. Stark Builders, Inc. has created a professional crew of nothing but the best carpenters in the business. They are experts in their field and take great pride in a job well done. Our ultimate goal is to provide 110% customer satisfaction by exceeding client expectations. We always go above and beyond to ensure that our clients receive exactly what they need. 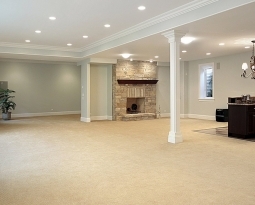 Call us today so we can discuss your basement finishing ideas.